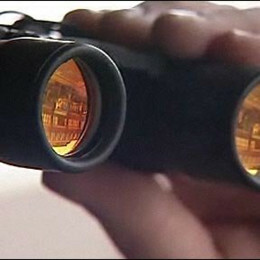 Ofgem are investigating price comparison sites for colluding. Read The Big Deal response. In a statement today, MoneySupermarket said that energy regulator "Ofgem have opened an investigation into whether two or more companies providing a supporting service for the energy industry have breached competition law." Ofgem confirmed today that the investigation concerns "whether two or more parties have shared information on the commission rates they charge to energy suppliers." This raises questions around price fixing. This morning MoneySupermarket's share price fell by more than 10% and Zoopla's fell by 7%. Zoopla bought uSwitch for £160 million on Monday this week. This is not the first time commissions - or 'kickbacks' - have landed comparison sites in trouble. Last year consumer collective The Big Deal published research showing the Big Five switching websites (MoneySupermarket, uSwitch, Go Compare, Compare the Market, and Confused) all hid the cheapest deals from users online and over the phone simply because those deals did not earn them a kickback. "Commissions are a cost that end up on our bills. If comparison sites have been colluding to fix those commissions at a high level, that is a scandal. Comparison sites should now publish their commissions as a matter of urgency, but many consumers will never trust them again. "First they hid deals that didn't earn them a kickback, and now they may be colluding to keep those kickbacks at extortionate heights. 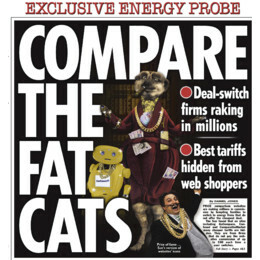 The public has long been wary of the Big Six suppliers, but if Ofgem discovers price fixing among the Big Five comparison sites, we may have two cartels in one industry."